Santa Barbara, CA – A recent Santa Barbara resident used and composted Be Green Packaging’s products in a home compost pile. The products were placed in an aerobic composter filled with kitchen scraps, coffee grounds, lawn clippings, and chicken and rabbit waste. Much to our excitement, the items broke down in only ten days, after being turned only a few times. The resident and his son documented and filmed the decomposition of three Be Green Packaging items, namely the 9” inch plate, the 6” plate and a supermarket meat tray. To view the videos, see below or go to our YouTube channel. At Be Green, we strongly believe in the benefits of composting for the local community and the environment. Our products are designed to end up in either an industrial or home composter. Be Green has certified our products for industrial composting, however, there is currently no home composting standard or certification process. Despite this, we believe these videos, produced by a customer, offer proof that Be Green’s products are indeed compostable at home. More information on Be Green Packaging can be found at http://www.begreenpackaging.com/. We’ll be posting videos and adding favorites to give our viewers information about how to live green, about composting, and other great tips. Leaders convened at the Google headquarters in Mountain View, Calif. to listen to speakers including Professor Martin Fischer (Standford), Matt Petersen (Global Green), Vance Bell (Shaw Inc.), Chad Hurley (YouTube), Michael Volkema (Herman Miller), Wendy Schmidt and Co-Founder of the GPII, William McDonough. In 2002 McDonough and partner, Michael Braungart, wrote the book “Cradle-to-Cradle,” which has since become a highly regarded certification process and will become a cornerstone for GPII’s framework. Since then, MBDC (McDonough Braungart Design Chemistry) has been certifying products and companies within a wide range of industries. Be Green Packaging LLC, a Santa Barbara, Calif. based company, was the first food packaging company in the United States to be awarded the coveted Cradle-to-Cradle certification. Be Green Packaging received their first certification in 2008, was recertified in 2009, and plans to petition for recertification in July 2010. Be Green Packaging is now working with a handful of Fortune 500 companies helping to produce innovative consumer packaging for everything from health and beauty products to telecommunications. Since its inception in 2007, Be Green Packaging has been a leader in the green packaging movement and is anticipating the industry’s continued growth with the help and direction of GPII. More information on GPII and Be Green Packaging can be found at http://gpinnovation.org/ and http://www.begreenpackaging.com/. Santa Barbara, CA – May 20th, 2010 – In order to provide its customers with the best products possible, Be Green Packaging LLC strives to maintain current and updated testing, ensuring both their product’s reliability and consistency. As such, they have completed testing with Biogenetics Services Inc, confirming that their products contain no genetically modified organisms (GMOs). GMOs have widespread applications from medicine to agriculture, however they are controversial for many different social and environmental reasons. Agricultural effects may include contamination of non-GMO crops by genetically modified crops, thereby changing the genetic structure of a farmer’s desired variety. Possible human health effects are also of concern. The widespread application of genetically modified crops could lead to loss of biodiversity. Social effects would likely be felt most by developing countries. GMO’s may cause these countries to depend upon the industrialized countries for their source of food. There is also the potential for our world’s food industry to become dominated by a few companies, whose interests would be partial towards the wealthier countries. As a triple bottom line company focused on people, planet, and profit, Be Green Packaging LLC strives to uphold socially responsible practices. Be Green seeks to work with businesses that operate to improve the educational, environmental, cultural, economic and social well being of the communities in which they work. In addition to the company’s socially responsible practices, Be Green staff has dedicated personal time to enriching the lives of others. 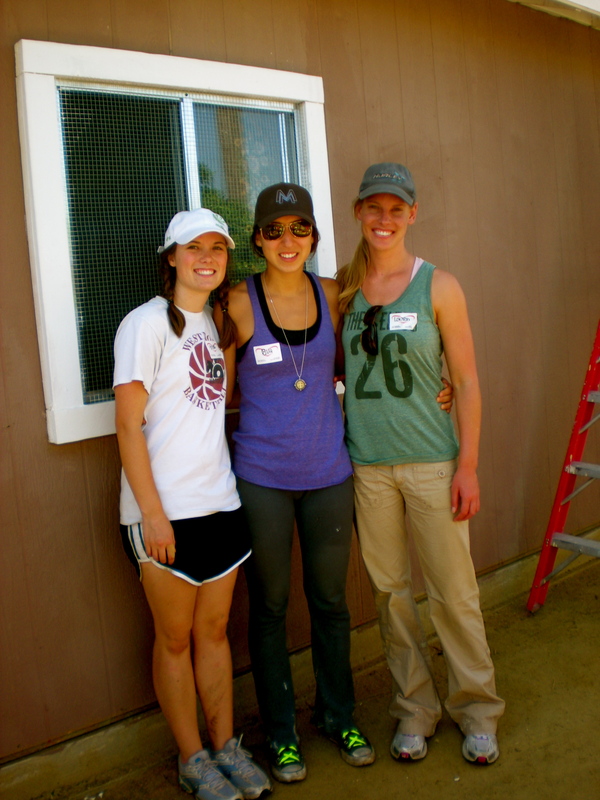 Recently, employees donated a weekend of their time to support a building project in Tijuana, Mexico. Partnering with Corazon, a non-profit organization, Be Green staff helped build and furnish a house for a family of three. The family, through many hours of community service, was chosen by their community to be the next Corazon member to receive a house. Be Green staff joined a team of 40 to help complete the project on time.